This festival is unique. It invokes the Divine through rituals closely linked to Mother Nature. An extraordinary festival, Vaishaka Mahotsavam is not happening inside the familiar walls of the temples, but amid a dense forest, where the ambience is set by the tall trees and the gorgeous Bavali River. 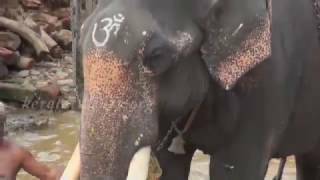 The festival at Kottiyoor in Kannur district involves two temples that are situated on the opposite banks of River Bavali - Akkare Kottiyoor and Ikkare Kottiyoor. 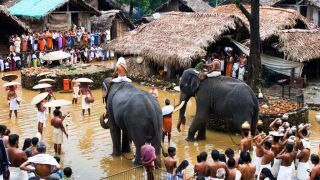 The annual Kottiyoor festival is celebrated for twenty-eight days and it falls during the months of May and June. The festival begins with the neyyattam ritual the thirukalasattu ritual held on the concluding day is attended by hundreds of devotees. The festival is also known for its strict observance of traditional rituals. An important ritual held during the festival is the Elaneer Vayppu, devotees offering tender coconuts before the swayambhoo Shiva linga) and which will be followed by the ritual of ‘Elaneeraattam’ on the next day. At the temple, known as Akkare Kottiyoor, the deity is believed to be a swayambhoo lingam (self-formed idol of Lord Shiva). There is no formal structure of a temple as such here. The image is seated on a ground, formed by small heap of stones called manithara. 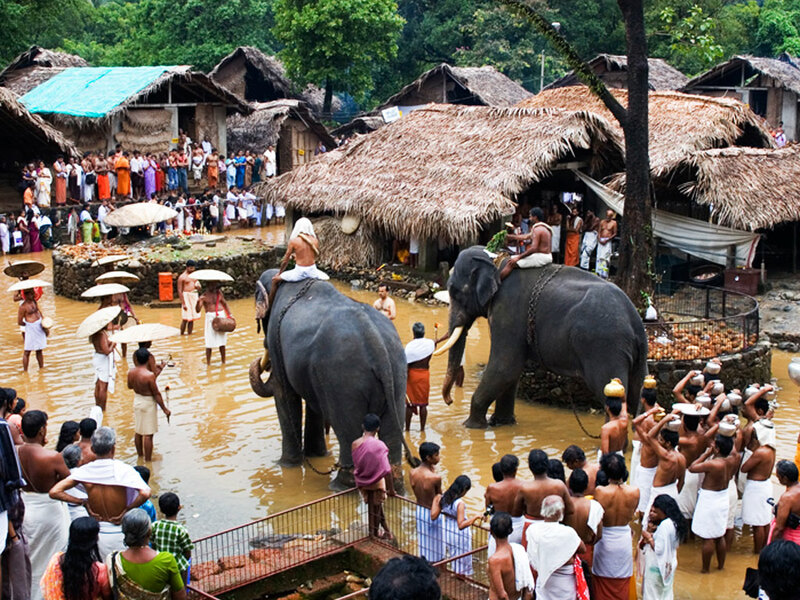 The Akkare Kottiyoor temple remains open only during the festival days. Devotees take home the Auda flower, an artificial flower, prepared from bamboo and made only during the festival season after visiting the temple.